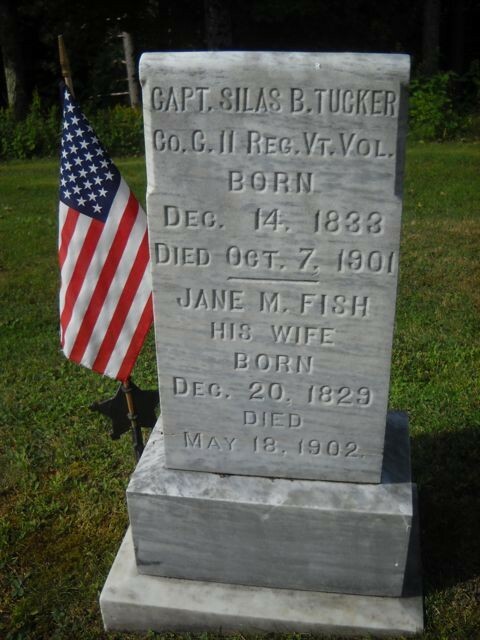 The death of Captain Silas B. Tucker On Monday the 7th, removes one of our citizens, who for many years was a prominent figure in the affairs of this village. 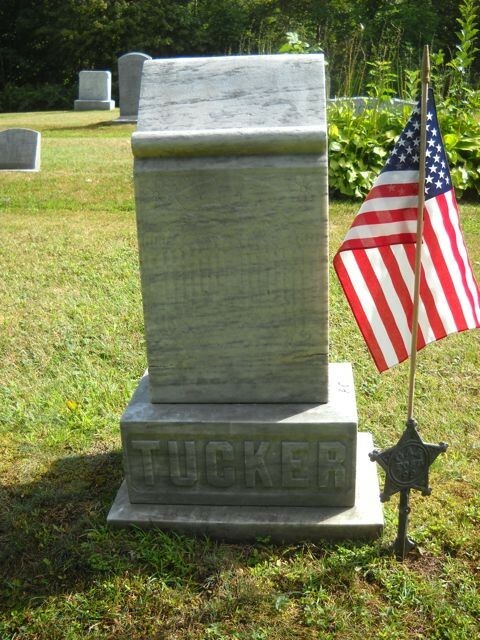 Mr. Tucker was born in Thornton, N. H. in December 1832. Later his parents moved to Tunbridge, in this state, and still later to Northfield. Here Mr. Tucker worked at his trade, that of painter for the Central Vermont R. R., Co. When the War of the Rebellion broke out he enlisted on the 9th day of May, 1861, among the three months men whom President Lincoln first called to the field. When his time was up he enlisted for three years. He joined the 11th Vermont regiment. He was first made an uncommissioned officer, but by his military bearing and courage he was promoted to second lieutenant, and later, after distinguishing himself he received another promotion to first lieutenant, and still later again, by gallant conduct, to that of captaincy of company C. Ever performing his duty at the front, he was severely wounded in the shoulder in the battle of Opequon, where the eleventh regiment of Vt. Vols lost seven killed and eighty-five wounded. This was fought on the 19th of May, 1864, and the wound always troubled Mr. Tucker while he lived. He followed his trade as a painter to some extent, and executed some fine oil paintings. For two years he was on the road as advance for the Beadle troupe. He organized the first brass band in the village, contributing largely for the uniforms, and was elected drum major, and drilled them in military tactics to some extent. He was also the promoter of the dramatic club called the Thespians, which were noted with their acting, and the large houses which their plays brought together. For the last fifteen years Mr. Tucker's health has been such he had not been able to do much work, and but little public business. Three years ago he had a shock which disabled him for a long time, but later he rallied sufficiently to enable him to supervise the building of his new house. One year ago he was attacked with another shock, and since that time he had failed until death ensued. The funeral was largely attended on Wednesday, the 9th inst., at his residence. A number of old soldiers were present, and the W. R. C. contributed some beautiful flowers for the occasion. Rev. J. B. Lyman officiated as clergyman, making some very fitting remarks. Captain Tucker leaves a wife, who has faithfully cared for him during his long illness, and a sister, Mrs. Almira Copp. of Vineland, N. J., besides many friends, and more distant relatives to mourn his loss.